If you’ve got a question about anything involving our Chamber Music Festival, you should find the answer here. Click on any question to reveal the answer. If you can’t find the answer you’re looking for, just email us or call us on 00 353 (0)27 52788. When is the West Cork Chamber Music Festival? 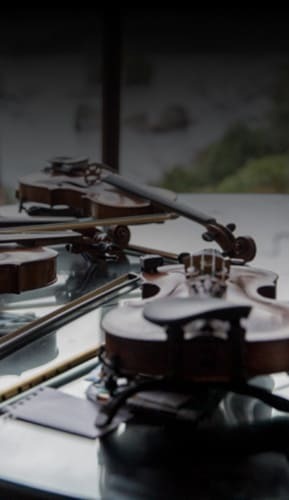 Our West Cork Chamber Music Festival usually falls in the last week of June through the first week in July every year, from Friday through ten days to Sunday. We usually publicise the dates for the following year as soon as the current year’s festival is over. You’ll find our most current dates in the header of our Chamber Music Festival webpages (see the top of this page!). 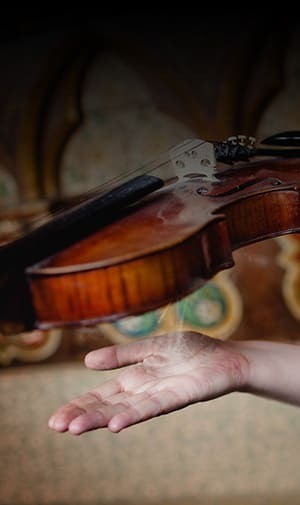 How can I contact the West Cork Chamber Music Festival? How can I get to the Festival? Located along the Wild Atlantic Way, Bantry is approximately 90 km west of Cork City. We’ve detailed directions to help you get here by any mode of travel – see our Travelling to Bantry pages. If you are unsure of travel directions please get in touch with our local Tourist Information Office – they are more than happy to help you to get to this beautiful part of Ireland. Can you tell me about accommodation, restaurants and tourist information? There is a wide choice of accommodation in the region – Manor House Hotels and Hotels, Lodges and Guesthouses, Bed & Breakfasts and Farmhouses. To explore your options, browse our Fáilte Ireland-approved listings or see the Co Cork listings at Discover Ireland. If you’re having trouble finding accommodation our local Tourist Information Office will be delighted to help you. You can also find out more about our local area and things to do on our own Tourist Information pages. Why don't you advertise more? But we advertise everywhere! Each festival has its own advertising campaign which includes local, national and international media. Why don't more young people attend? We do everything we can do encourage our younger audience. We carefully select our programme to include chamber music that will appeal to a wide audience. We have Masterclasses, with younger musicians learning from the experts, highlighting that this wonderful music can be appreciated by all age groups. Our Fringe festival is located on the streets of Bantry and in surrounding locations. Youngsters can’t help but notice the music on their doorstep and we hope to encourage a love of chamber music at an early age in this way. We hope those who meet us at the Fringe will continue to follow our work. Many young people, especially music students, volunteer for the Festival. And we offer tickets discounted by 50% to under 16s. How do I let you know any ideas I have for the festival? Written suggestions are easiest for us to follow up on. You can write to us at West Cork Music, 13 Glengarriff Rd, Bantry, Co Cork, or email us. If you’ve any suggestions while you’re attending our festival, look our for our surveyors. Every year we ask our audience for feedback and suggestions – and our surveyors will provide you with a form designed with that in mind. What is West Cork Music? West Cork Music is our management company. It was established in 1995 and has grown from a small voluntary organisation to a company which is dedicated to bringing the highest calibre of musical experience to Ireland. 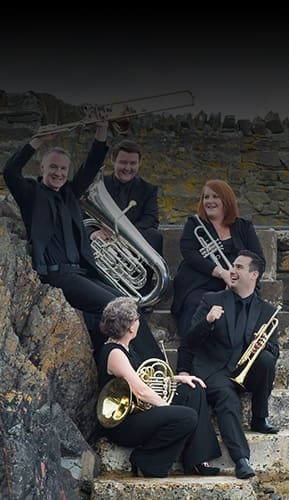 We promote the West Cork Chamber Music Festival, now in its 21st year, which has become one of the leading chamber music events in Europe, attracting local, national and international audiences alike. We also organise the West Cork Literary and Masters of Tradition festivals and educational activities as part of our Festivals and through the music-in-schools programme, ‘Tuning Up’, in partnership with Cork County Council, visiting 50 schools throughout the county each year. Our commitment to excellence and distinctive West Cork identity have secured us special place in the Irish cultural landscape. Find out more on our About Us pages. The Brochure is very brief - do you have more information anywhere? We have all the information you need on our website here, including artists’ and quartets’ biographies. Just click on the event or artist you want to know more about. We also publish a Programme for the Festival in the weeks before it starts. 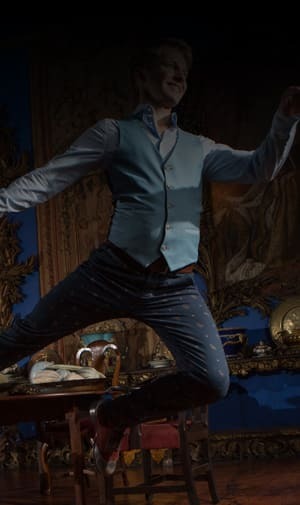 The Programme is a substantial publication which includes comprehensive programme notes for each concert, biographies of each performer and information about the local area which will help Festival audience make the most of their visit to Bantry. See our How can I get a Programme? FAQ below for more info. What's the difference between your Brochure and Programme? Our Brochure gives advance details of each event in the Festival with brief notes on each day’s programme. Along with the web-site, it is our main marketing promotion. 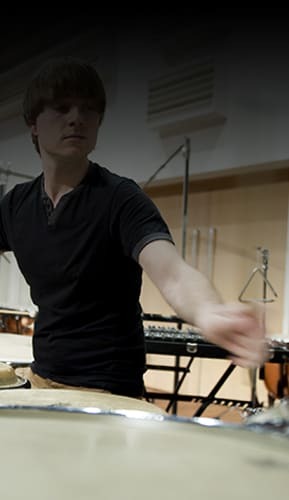 The much larger Programme provides extensive programme notes on each work in each concert. This might be why the Programme is such a valued addition to many Festival audience members’ bookshelves. How can I get a Brochure? You can order a Brochure in advance of publication – or any time after. Just phone us on 00 353 (0)27 52788, or email us with your request. Remember to let us know your full name and address, and which festival you’re interested in. How can I get a Programme? Our Programme is published in time for the start of the festival and is not available prior to it. You can pick up a Programme for €10 at the box office at our events, or at our main office, during the festival. If you can’t make the festival, but would still like a Programme, you can order one by phoning us on 00 353 (0)27 52788. Note, there will be an additional charge for postage. If you are a Friend of the festival, you will receive your complimentary Programme on your arrival. Do check in with our team if you don’t receive it. Find out more about the benefits of Festival Friendship here. Why isn't there more information on the Masterclasses? Masterclasses usually study one of the works the particular student quartet is playing in their Town Concert. However, the students and tutors like to have a level of flexibility, so we don’t want to pin them down to specific works in the programme. Why is the Late Great Show on sooooo late? We’ve produced the West Cork Chamber Music Festival for decades and have looked at this every which way. At the end of the day (which it is) it’s the only time that fits in our crammed schedule. We need the half hour between the Main Evening Concert and the Late Great Show to allow the earlier audience to leave, and the later one to check in; we can’t schedule the Main concert any earlier, allowing for dinner, and; we would be reluctant to shorten the time given to the Main Evening event. We realise it’s a bit late for some of our audience and can only hope the rest of our full and varied ten-day programme can recompense for the disappointment. What is the Fringe Festival? Our West Cork Chamber Music Fringe Festival brings world-class classical music into the community, allowing non-festival goers to experience a taste of our main festival – for free. Our free performances see artists play all over West Cork, along with pop-ups and workshops. Why isn't there more information on the Fringe Festival in the Brochure? We have a separate flyer for our West Cork Chamber Music Fringe Festival. 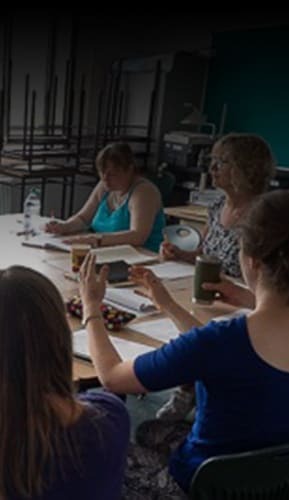 The Fringe programme is finalised after our brochure is published – and we think a separate flyer makes the Fringe programme more accessible to a wider audience. Our Fringe Festival flyers are available at our office, event box offices and around Bantry adn outlying areas. And we make the programme available online as soon as it’s published. Can I get a discount for booking multiple events? Please get in touch our West Cork Music Box Office for these requests as they aren’t currently available on our website – 00 353 (0)27 52788. Can I get a discount for a group booking? Please get in touch our West Cork Music Box Office for these requests as they vary and aren’t currently available on our website – 00 353 (0)27 52788. We also cater to registered Tour Groups for all our festivals. Please contact Sarah Honore if you’d like to know more. Do you have any concessions for children, students or pensioners? We offer a 50% concession for most events to those aged 16 and under. No other concessions are available. Why do I have to pay a booking fee? There is a single €3 fee for each booking by Cheque, Postal Order or Credit Card. To avoid multiple booking fees, plan ahead to make all your bookings at the same time. We are charged the booking fee by the bank and credit card companies. We regret we have to pass the fee on to the customer. But do note, there is no charge when paying by cash at an event or our offices. Note there is an addition fee of €2 for postage if you wish your tickets to be posted out to you. There is no charge if you elect to collect your tickets at the event. Why do some concerts have a price range and others don't? Concerts at Bantry House and St Brendan’s Church have varied pricing to reflect the position of the seats – better seats have higher pricing. You’ll see the seat layouts in our Seating Plans. Other venues are free seating, first come first served, and so all seats are the same price. It’s best to arrive early for these events to get the best seats. My plans have changed - can I get a refund? Refunds will be given only in the case of a cancelled concert. Couldn't your ticket prices be cheaper? Our festival’s pricing is very reasonable – especially when compared to other festivals of the same genre. We have free events with the Festival Fringe, Masterclasses and Violin Talks – and a free Violin and Bow-Making Exhibition that is on display throughout the festival. Our Bantry House and St Brendan’s Church venues have tiered pricing that reflects the quality of the seating – better seats have higher prices. Our lowest price seating is accessible to the most thrifty of customers. At the end of the day, to operate sustainably, we have to charge for tickets to cover our costs. We believe our prices are fair and reasonable for the unique musical experience we offer. When general booking is open, usually from sometime in March, you can book online here – and you can find out everything you need to know about booking here. If you have any problems, just give us a call on 00 353 (0)27 52788 and we’ll talk you through it – or we can make the booking for you. You can find out everything you need to know about booking, including when booking opens, here. Our dates vary every year. You’ll find our terms and conditions on our Booking pages – with all the other information you’ll need to know about booking. The programme's online, but I can't book! Why? Our programme usually goes online before the winter break. Booking for our Gold Friends opens in January, Silver Friends in February and General Booking opens in March. You’ll be able to book online once General Booking opens. You can give us your booking sooner by filling out our booking form and posting or emailing it to us. The booking form is available in our brochure and is downloadable here from early January. Note your booking will be placed in a queue and will not be processed until your grade of booking opens. I can't make head nor tail of your booking form - Help? We have a huge programme, suited to every taste in the chamber music world. But that does mean our booking form can look a bit complicated. If you’re having any trouble at all, just call us on 00 353 (0)27 52788, and we’ll do our best to talk you though it. Or we can take your booking by phone, if you’d find that easier. Why won't the online booking let me book the seat I want? If you cannot resolve the problem, just give us a call on 00 353 (0)27 52788 and we’ll talk you through it – or we can make your booking for you. Why did the concert sell out so quickly? Some concerts sell out very quickly either due to the repertoire or the special musicians – or both. The only way to guarantee seats for these concerts is to subscribe as either a Gold or Silver Friend in order to get priority booking. Find out more about Festival Friendship here. Is there any chance I can get a ticket to a sold out concert? We do have waiting lists for sold out concerts. If you get in touch with the office – 027 52788 – we can add you to the list and we’ll phone you if a ticket becomes available. To avoid disappointment, do keep in mind firstly that we might not get any returns. Secondly, returns can often be at late notice and, in that instance, we will move on to the next person on the waiting list if we don’t get a reply from you. In addition, if you like living dangerously and are already attending the Festival, you will occasionally get a return ticket for a sold out concert at the very last minute before the concert. How do I book for the Fringe Festival? Most of our Fringe events don’t require booking – just turn up! Some events, however, have limited places, and you do have to book for those. You can book by phone (00 353 27 52788) or in person at our office. Or you can book the event online, as with our other festival events. See our online Fringe events or our Fringe Festival flyer for details. Flyers are available at our office, event box offices and around town. Why is there so much on? I can't possibly see everything! We design our programme to give our festival-goers a varied choice of concerts, masterclasses, talks and exhibitions with a range of repertoires, performers, venues, ticket prices and time slots. This variety, we hope, ensures there is something to suit everyone. And, as a result, we do have lots on. Our intention is not for everyone to attend everything, but for everyone to have the opportunity to taste the rainbow. Do you have any open air events? Yes we do! Check out our Fringe Festival events – and keep an eye open around town for pop-up concerts in the square and on the streets. 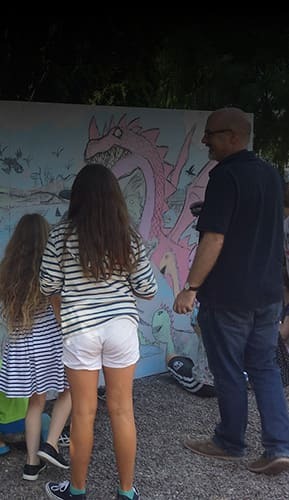 I can't make the festival this year - can I still feel part of it? We’re so sorry you can’t make it! But there are a few ways you can still feel part of the experience. 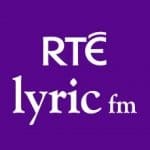 RTÉ lyric fm records our concerts. 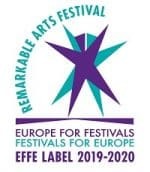 A number are broadcast live throughout the week of the Festival, reaching a worldwide audience of 50 million through the European Broadcasting Union. A sizeable selection is recorded for subsequent broadcast throughout the year. Keep an eye on our Facebook page for details of when you can hear these broadcasts. Some concerts are filmed. We’ll post those videos on our YouTube channel, as soon as they’re available to us, for you to enjoy at your leisure. Additionally, you can explore our Festival Archive, which is updated annually and has recordings of concerts going back over many years. 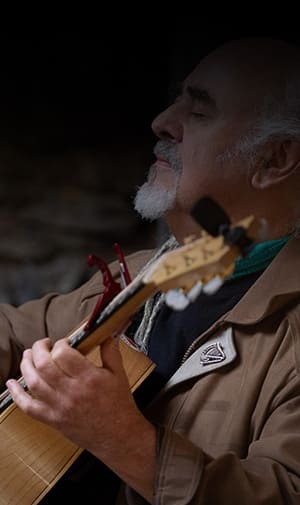 You might also find it interesting to purchase our Programme – you’ll get extensive programme notes on each concert, biographies and images of every performer as well as details of accommodation and restaurants in the town. Why have I been asked to fill out a survey form? Your participation in our surveys help us to continue to prove high calibre festivals in Bantry. Our survey data is valuable in a number of ways. It gives us information about who comes to our festival and how satisfied you are with your experience here. It allows us to identify what you liked and how we could improve the festival experience for you. The data we gather also gives us realistic estimates of our festival’s tourism economic impact within the local and wider community. The data is submitted to the Economics Department of UCC which compiles an independent Economic Impact report. The results of these reports have enabled West Cork Music to access the level of funding required to keep presenting festivals of this calibre. I love the Festival! How can I support your work? Great to hear! There are a variety of ways you can support the West Cork Chamber Music Festival. Find out more on our Supporter pages. And do keep coming back to our Festival – we couldn’t produce it without you! Yes, we couldn’t survive without it. We get funding from Donors, from a variety of Supporter options, Corporate Bodies and Funding Organisations. And we are most grateful for it! You can find out more on our Supporters pages. What can I buy to remember the fabulous time I had at your festival? Our festival programmes are literal walkthroughs of every event during each festival – and are a great reminder of your experience here. Our West Cork Chamber Music Festival/West Cork Literary Festival bags are also a practical reminder that you can carry with you through life. You can buy both at the box office at events and at our main office. What could I buy as a gift for a friend who loves the festival? You can purchase a gift voucher for any amount here. Your friend will be able to buy tickets to our festival up to that amount with the voucher. You can also purchase one of our Friend or Sponsor packages for your friend with a voucher. Find out the benefits of these packages here. Our West Cork Chamber Music Festival/West Cork Literary Festival bags are also a lovely gift. Can I buy a CD? I’m afraid not. We’re really sorry but we no longer produce CDs of the Festival. How do I find all the venues? You’ll also find tourist maps of Bantry and the surrounding area at our offices and at the local Tourist Information Offices on Bantry Square. All our local venues are within easy walking distance of each other. Note that Bantry House, the furthest, is a 15 minute walk from the Tourist Information Centre on the market square. We apologise that we can’t find any room for a map in our already-overflowing Brochure. Bantry House has parking available for visitors just off the main road. You can see it’s exact location on our Venue Map. Bantry House has convenient parking by the house. Please let us know in advance and we can book you a space for any concerts you are attending. St Brendan’s Church has disabled parking spaces directly outside. Again, if’s worth booking in with us to be sure you get a space. There are also disabled parking spaces throughout the town centre, and in the carparks mentioned in the previous FAQ. There are two Courthouses - which is the right one? Our events take place at the new Courthouse on Bantry Square between the fire station and the old cinema. The old courthouse now holds the Bantry Tourist Information offices. St Brendan's Church and St Brendan's Hall are different venues, right? Yes, they are. We know it’s confusing with the names so similar! St Brendan’s Church is the large church on the square. St Brendan’s Hall is the school hall at the bay end of the square on the right as you’re facing the bay. Both are signposted. Unfortunately the Hall’s signposts are sometimes obscured by the buses that park there. You can see the situation of both venues on our online map here. 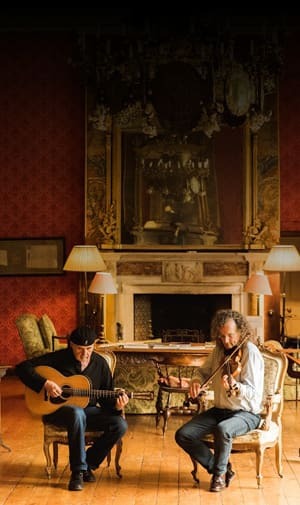 Why don't you have more concerts at Bantry House? We have limited access to Bantry House during the day, so most day-time concerts are in St Brendan’s Church or St Brendan’s Hall. The Bantry House stage is too small for larger ensembles and they must be programmed in the Church. The acoustic in the House is very difficult for singers and they, too, must be programmed elsewhere. How can I be sure not to get seating with an obscured view? Some of our seating options have obscured views, particularly at Bantry House. The pricing reflects this. You will not be able to buy such seats online – they can only be purchased directly from our box office team. When you’re booking, we’ll let you know when seats have an obscured view and you can make an informed decision about purchase. Note that these may be the only seats available in heavily booked concerts. Again, we’ll let you know if this is the case when you’re booking. Why are Bantry House tickets more expensive than those for St Brendan's Church? Both these venues are unique and special. Bantry House is just slightly more so – and ticket prices reflect this. The stable block – go up the steps out of the car park in front of the House and you’ll see the stables straight ahead of you. Once in the Stable Yard the toilets are on your right. Main car park – there are Luxury Loos beside the entrance to the main car park. St Brendan’s Church has luxury portable toilets behind the main building. As you’re facing the entrance, go round the left of the building and you’ll see them. Other venues are well signposted and should be no problem. If you feel otherwise, let us know and we’ll add directions here. Our main offices have no public toilets. Would you consider a dedicated venue? Oh! We certainly would! And we’re doing so as we type this. Find out more soon!